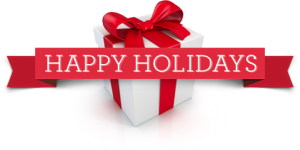 All of us at Pixels & Pills wish you and your family a safe, happy, and relaxing holiday season! For years we’ve been pleased to bring you the best in digital health news, thought leadership, and innovation. Whether through conference video interviews, op-ed posts, guest bloggers, or award winning tools like the Health Tweeder, we’ve taken tremendous pride in becoming your trusted healthcare communications technology resource. Riding that momentum into 2013 and beyond, we can’t wait to imminently reveal our completely redesigned blog experience: Aggregated real time tweets and feeds will keep you on the pulse of breaking digital health news, while you’ll be only a click or tap away from fresh insights, interviews, and industry events. Most importantly, Pixels & Pills has applied its years of experience to the design and development of digital health solutions. So we’ll also be featuring case studies of intriguing tools and resources, including mobile apps, websites, and other smart builds. Thank you for your enthusiasm, support, and feedback! We live and work within an incredibly dynamic, constantly changing field focused on the ultimate goal of improving the quality of life for millions of patients worldwide. With that spirit of exploration and good works top of mind, we’re eager to provide you with the best information, insights, and implementation to help you get the job done right.